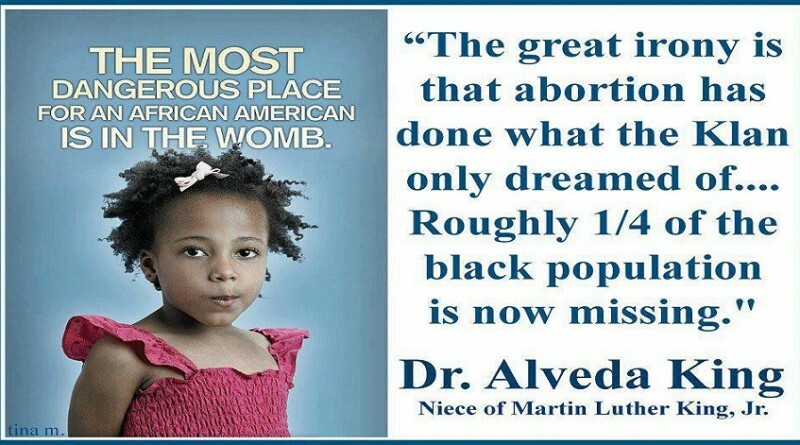 Now called Civil Rights for the Unborn, The African American Outreach of Priests for Life, the project will continue to be led by longtime activist Dr. Alveda King, niece of Dr. Martin Luther King, Jr. and daughter of A.D. King. Over the last 10 years, Priests for Life’s outreach program to African Americans has worked nationally with other civil rights activists on numerous efforts, including organizing the Pro-Life Freedom Rides, protesting convicted murderer Kermit Gosnell’s “House of Horrors” abortion clinic, and publicizing “Tonya Reaves Could Have Been Me,” the consciousness-raising campaign that grew from the tragic death of a young African American woman who died from an abortion. This year again, Priests for Life and Civil Rights for the Unborn will work hard to make sure voters keep the life issue in the forefront as they choose the next president of the United States.